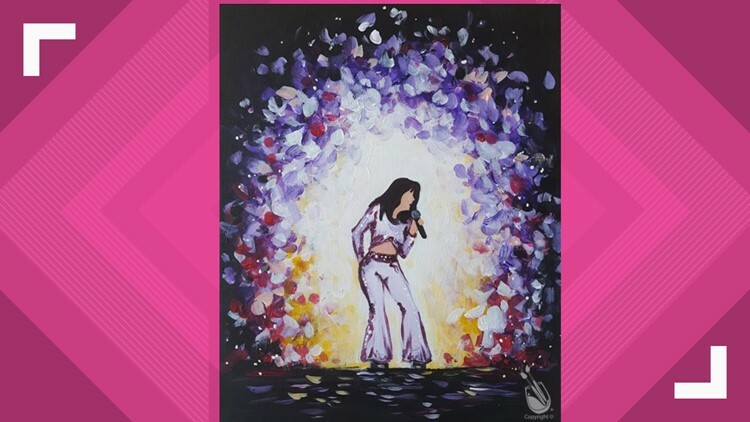 Celebrate Selena's birthday with movies, beer, paintings and more! April 16, 2019 would have been the beloved Tejano singer's 48th birthday. SAN ANTONIO — Each year, San Antonio proves that the memory and legacy of Selena Quintanilla Perez will never die. April 16, 2019 would have been the beloved Tejano singer's 48th birthday. To celebrate, there are several events and special deals going on in San Antonio. The Historic Pearl is hosting the Bidi Bidi Party on April 16. DJ Manolo Black will spin the best of Selena, cumbia, & more at Pearl Park from 6 to 9 p.m.
You can get food and drinks from the Bottling Department and Southerleigh Fine Food & Brewery's outdoor oyster bar. The Alamo Drafthouse locations in San Antonio will be showing the 1997 film Selena, starring Jennifer Lopez and Edward James Olmos. There are screenings on April 16 at each of the three Drafthouse locations of Westlakes, Park North and Stone Oak starting at 7:00 p.m. The screenings will include a Selena sing-along with lyrics sheets. Arrive early for the custom pre-show dedicated to Selena...with her music videos and rare, hard-to-find interviews. Painting with a Twist will have a painting event hononing Selena called "Sing to My Soul! A Tribute to a Tejano Queen". It will be 7:00 to 9:00 p.m. on April 16 at the Alamo Heights location.